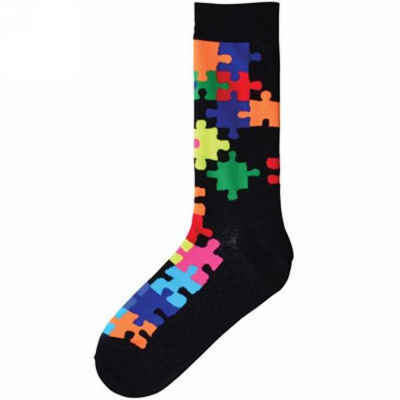 Show everyone your puzzling side with these colorful jigsaw puzzle pattern socks for men! 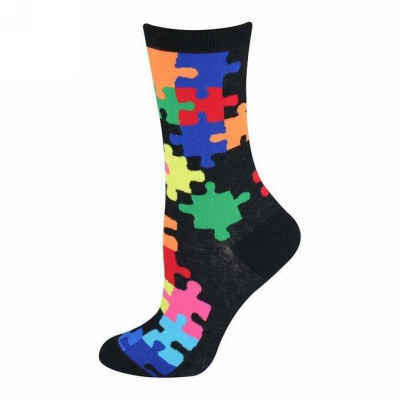 Featuring a vibrant multi-colored puzzle pattern, these are the perfect thing to have some fun with your wardrobe, whether it be at home or in the office. Designed to fit most men's shoe sizes.